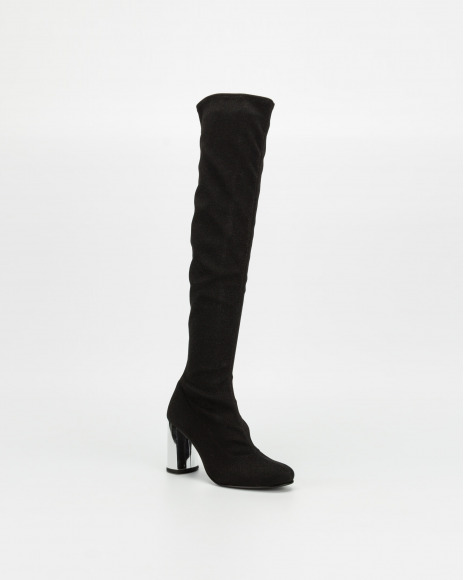 Slip into this style by PROF, a new over-the-knee boot made just for you. 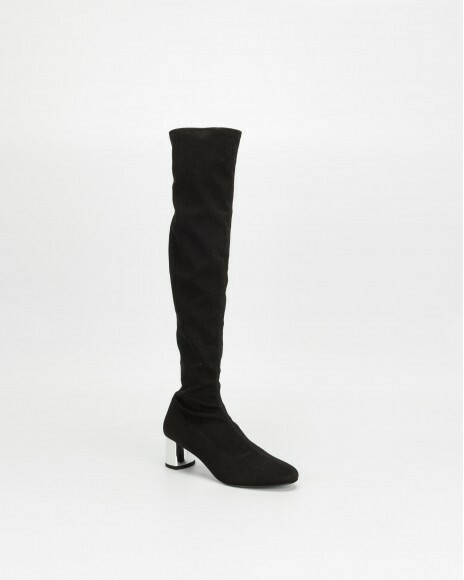 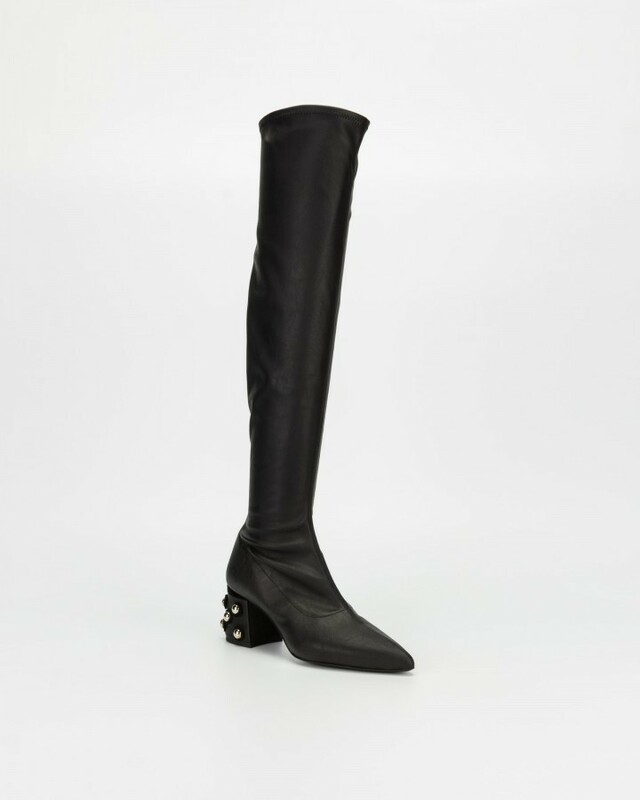 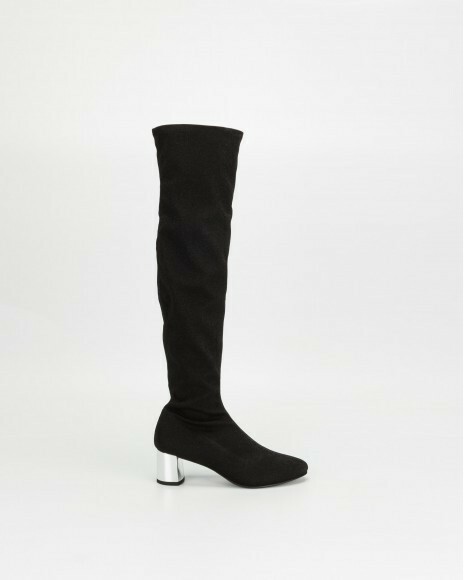 This boot features a black lycra leather upper that extends above the knee. 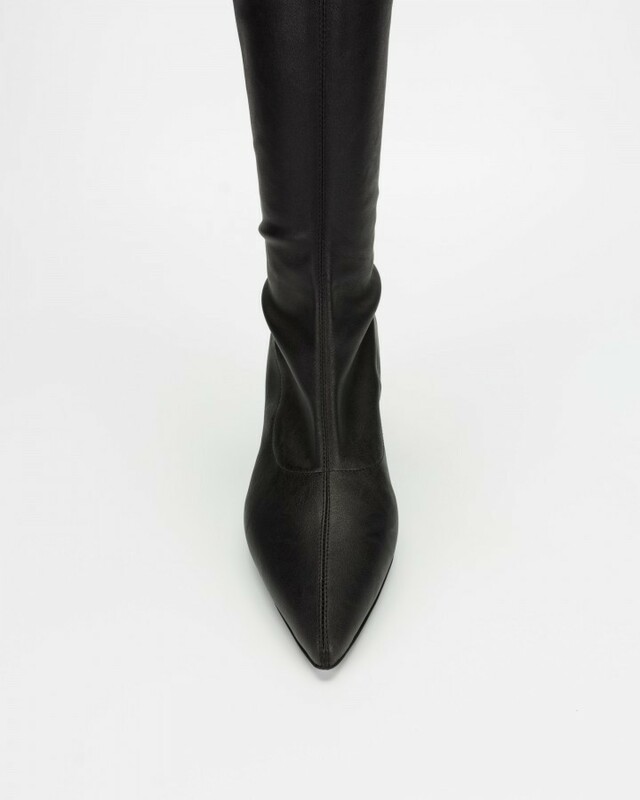 A perfectly embellished 7 cm heel completes these boots.